There is no denying it - juicing as a weight loss cleanse is probably one the most common reasons people seek us out and give it a go. . . So we figured we should chat about it. 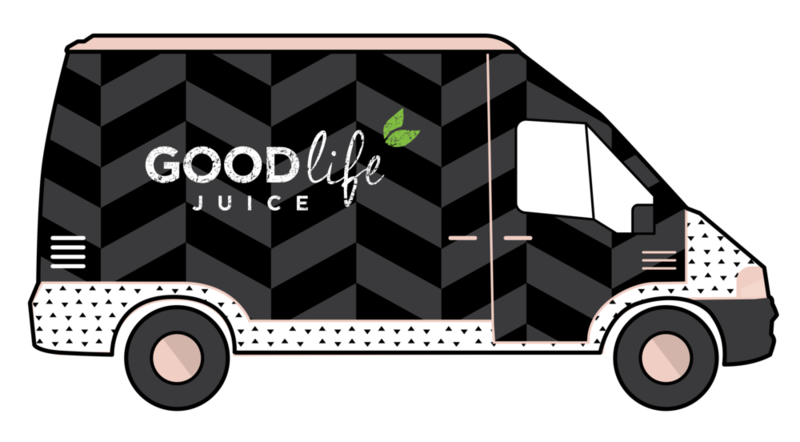 Although juice cleansing for weight loss may not be our number one focus here at GLJ, there is no denying it - we enjoy losing a few pounds on a juice cleanse and so can you! Doing a minimum 3 day juice cleanse is a fantastic way to kick start a weight loss journey. It can help to change you cravings – aligning your taste buds towards a rainbow of wholesome plant-based foods. You lose weight on the juice cleanse itself, and then, with your taste buds and cravings res-set you can continue to crave the foods that allow for continued and lasting weight loss after the fact. Why is a Juice Cleanse a successful tool for weight loss? For starters, weight loss is just one of the MANY benefits of doing a juice cleanse. According to Dr. Joel Fuhrman, author of The Super Immunity Diet, juicing helps unleash the natural healing power of the body. Juicing floods your system with powerful nutrients and antioxidants. It also helps shift your cravings towards wholesome plant based foods like leafy greens and rainbow of other healthy foods. By abstaining from processed foods, sugars, and refined carbohydrates you are also re-training your taste buds. Chemicals and sugars found in those foods can reek havoc on your taste buds . . . Raw plant foods actually taste fantastic!! You might just need to get your taste buds on board with a little juice-cleanse-training-session. Why is a juice cleanse more beneficial than doing another type of liquid fasts or cleanses on the market for weight loss? The name of the game is nutrients. The variety of nutrients you consume from drinking 6-7 different juices /day is immense. On a 3 day juice cleanse you will consume the vitamins, nutrients and enzymes from almost 50 pounds of fresh, raw, mostly organic produce. Nutrients consumed from REAL foods are FAR superior to powders and potions. If you eat crap, you crave crap. If you eat/drink fruit and veggies you will crave fruit and veggies. If you are depriving your body of the vitamins and nutrients found in REAL, LIVE PLANT FOODS then you are starving your body of nutrients. Your body is smart and we know YOU are a smart cookie as well . . . only consuming powders + potions mixed with water for a few days cannot be what is best for your body. Plus, you are not helping change your cravings for healthy wholesome foods like doing a 3 day juice cleanse can. Why do you lose weight on a juice cleanse? You are consuming fewer calories/day than your typical diet. (Our Classic Detox Cleanse comes in at 1022 calories/day). Meanwhile, your body does not have to work to break down the fiber. Your stomach basically has a much easier task of extracting nutrients. You will lose some water bloat and you will lose some fat. The calories that you are consuming are a concentrated dose of beneficial and healing nutrients. How can you get maximum results on a weight loss cleanse, and lose the most amount of weight? To achieve maximum results, commit to a minimum 2-3 day prep period where you eliminate meat, dairy, processed foods, sugar, and refined carbohydrates. This will start the cleansing process and possibly help you lose a few pounds before you even take your first sip. It also helps give you some tools for successful plant based eating after your juice cleanse – again, helping you continue to lose weight. How much weight can you expect to lose on a 3 day Juice Cleanse? This is different for everyone, and also depends on your current diet, current weight, and how much prep you did ahead of time. That being said, most people lose between 3-6 pounds on a 3 day juice cleanse. Longer cleanses lead to larger weight loss. Click Here to learn more about all the benefits that have nothing to do with weight loss or Here to read an article from NY based, board certified nutritionist Fern Olivia on her top 10 reasons for a juice cleanse that has nothing to do with weight loss. Order your Weight Loss Cleanse today!